Fruita, CO is a unique place offering an array of outdoor recreational activities, attractions, and beautiful landscapes. Fruita can be considered a paradise for anyone who loves the great outdoors and offers a variety of activities to choose from, such as hiking trails, world-class mountain biking, rafting, scenic drives, and simply taking in the views of the spectacular scenery of the area. 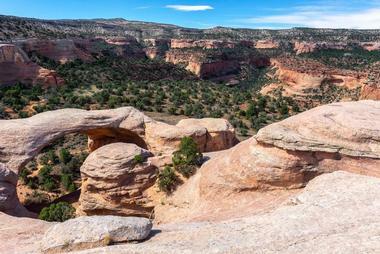 The Colorado National Monument in Fruita, Colorado preserves one of the American West’s grand landscapes. Towering monoliths can be seen within a vast canyon and plateau panorama. Visitors can experience the red-rock, sheer-walled canyons along several turns and twists on the Rim Rock Drive, during which they may also spot soaring eagles and bighorn sheep. The Historic Rim Rock Drive is a journey of twenty-three miles offering a bird’s-eye view of the area’s canyons. Interpretive signs and photo opportunities can be found at scenic overlooks. 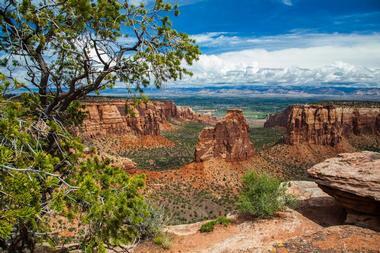 The Colorado National Monument also boasts more than forty miles of trails with varied difficulties. The Dinosaur Journey Museum with the Museum of Western Colorado is a regional geological and paleontological museum that highlights the story of western Colorado’s history of life, along with the history of the surrounding area with robotic dinosaur reconstructions, cast skeletons, and real fossils. 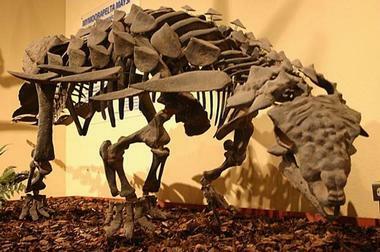 The interactive, hands-on museum features more than fifteen thousand fossil specimens throughout its displays, exhibits, and collections, an earthquake simulator, a “quarry site” where children can discover dinosaur bones, a sandbox for making dinosaur tracks, and a viewable paleontology laboratory. The exhibition hall includes fossil dinosaur bones and robotic reconstructions of Tyrannosaurus rex, Triceratops, and many other dinosaurs. 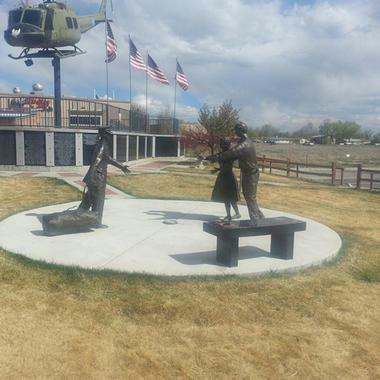 The Western Slope Vietnam War Memorial is dedicated to the women and men who served in the Armed Forces of the United States between the years of 1959 and 1975 during the Vietnam War. the focus of this memorial in Fruita, Colorado is to honor the people who serves both in the country and outside of it, and in particular, those who were killed, taken prisoner, missing, or disabled during the Vietnam War. The Western Slope Vietnam War Memorial’s basic design is a display of the UH-1H Huey helicopter, which symbolizes the Vietnam era. All military branches are represented. Kokopelli's Trail is a multi-use, 142-mile trail that travels along a circuitous and scenic route through the desert starting in Loma, Colorado and ending in Moab, Utah. As a through route, the trail is mostly used by mountain bikes, with the trail featuring various terrains, ranging from technical singletrack to a pavement trail. The majority of Kokopelli's Trail is made up of old jeep roads, and has become one of the premier trails for mountain biking in Utah and Colorado. Eight small camping area are located along the trail in Utah. Each one has a toilet, and some have a picnic table. Rattlesnake Canyon is located within Colorado’s Black Ridge Canyons Wilderness, a core part of the McInnis Canyons National Conservation Area. 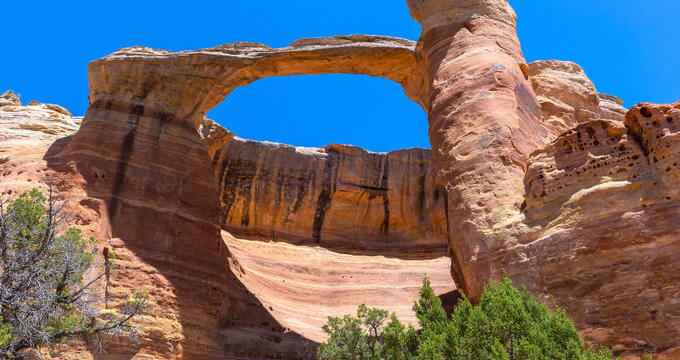 The canyon is a rather scenic area consisting of nine natural arches, which is the country’s second highest concentration of arches of this kind, the highest concentration being at the famous Arches National Park. To reach Rattlesnake Canyon, visitors can take the Black Ridge access roads or attempt the difficult seven-mile hike from the trailhead of Pollack Bench. Guests can reach the access roads, which are open seasonally, through the Colorado National Monument located adjacent to the canyon. The Black Ridge Wilderness Study Area encompasess a total of 75, 439 acres across both the state of Colorado and the state of Utah. Vegetation throughout the wilderness area is fairly sparse with pinyon-juniper woodland here and there. The east-west Black Ridge area is separated by seven different red-rock canyons that vary in length. 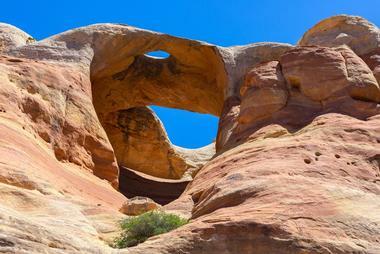 The canyons includes various geological characteristics, including desert patina, giant alcoves, windows, and spires. The Black Ridge Wilderness Study Area is also home to bald and golden eagles, desert bighorn sheeps, mountain lion, and deer. Hiking, backpacking, primitive camping, rafting, and horseback riding are all possible here. The McInnis Canyons Conservation Area is situated within western Colorado’s high desert canyon country, along with eastern Utah. The conservation area spans across more than 123,000 acres. One of the unique natural resources in the area is the Black Ridge Canyons Wilderness that contains North America’s second largest number of natural arches. Fossils of international importance have been unearthed in the McInnis Canyons Conservation Area during over one hundred years of excavation. There are many different petroglyph and pictograph sites throughout the area as well. The conservation area today is a recreation destination, drawing many guests in with its mountain biking opportunities. Colorado Backcountry Biker, or also known as CBB, is the leading biking destination in the town of Fruita. It is a place to go before visitors leave on their ride, after they get back from their ride, or just talk about bike riding. Colorado Backcountry Biker offers self-guided, multi-day backcountry hut trips on western Colorado’s Uncompahgre Plateau. CBB is also a full-service bike shop with some of the most highly regarded mechanics in the region. The bike shop has everything guests may need for a great bike ride, along with an optional stay at the Gateway Spa and Resort during trips. The Edge Loop Ride is a long bike ride of twenty-eight miles that loops north Fruita around the 18 Road trail system. This loop is created by the combination of the Frontside trail and the Prime Cut trail with more than fourteen miles of doubletrack and roads leading to the trail being Little Book Cliffs. The Edge Loop then sets off downhill from the Book Cliffs. After coming out from the canyon, the ride journeys around foothills to guide bikers back to the trailhead. The skill level of mountain biking along the Edge Loop Ride varys from easy to moderate to difficult. The Cavalcade Performing Arts Center is a concert entertainment venue that provides live music performances for the Fruita community and nearby Grand Junction, Colorado. The unique entertainment space accommodates audience of over fifty people for live music, comedy, community, and poetry events. The Cavalcade Performing Arts Center is a non-profit, all-volunteer performing arts venue situated in the heart of downtown historic Fruita. The ticket/concession counter offers non-alcoholic drinks and snacks, and shopping, recreational activities, breweries, and restaurants are just a few steps away. The center also includes a comfortable area backstage and two restrooms. The Moon Farm in Fruita, Colorado has been a legacy of Western Colorado for more than five decades and inspired imagination in both adults and children alike for generations. This farm includes a variety of different attractions across the grounds, including a petting zoo full of friendly animals, museum exhibits, antiques, cultural displays, a Barbie exhibit, dinosaurs, special collections, and more. During the month of October, the Moon Farm features an expansive pumpkin patch, a themed corn maze, a haunted straw maze, and hayrides. The Moon Farm also plays host to field trips for school groups and birthday parties. The Adobe Creek National Golf Course in Fruita, Colorado is situated against the scenic backdrop of the beautiful Colorado National Monument. The golf course features twenty-seven holes spread out across three different nine-hole courses, known by the names of The Desert, The Monument, and The Mesa. All three separate golf courses connect to the Adobe Creek National Golf Course’s open concept and very spacious clubhouse. The golf courses hosts various golf tournaments and golf outings of various sizes throughout the year, all while allowing the general public to play a round of golf, weather permitting, year-round. Imondi Wake Zone offers an exciting, safe, and fun experience for friends and families to learn and improve their watersports skills using the facility’s cable system. 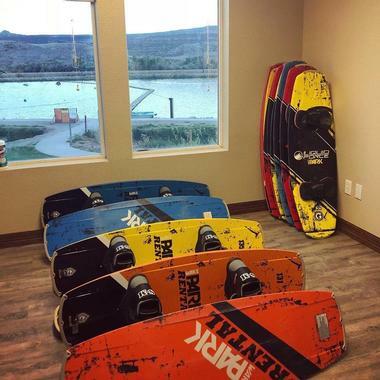 The cable park provides a way for people to enjoy towed-watersports, such as kneeboarding and wakeboarding, without any need for a boat. Imondi Wake Zone offers two different cable systems for guests, alson with helmet, vest, and board rentals. The Big Bro System is able to accommodate up to eight people at once, while the Lil Bro System is designed more for beginners and can only tow one person at a time. Hot Tomato Pizzeria is an East Coast-style pizzeria in the town of Fruita, Colorado. 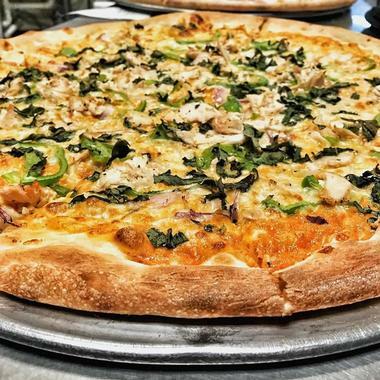 This means that the pizzeria bakes its pizzas in a traditional stone oven and uses ingredients that are consistent with the old-school pizzerias in New Jersey and New York. All of the dough used at Hot Tomato Pizzeria is made fresh daily, in-house. The pizzeria also cooks all of the meats used, makes all of the sauces, and preps all of the vegetables daily. Produce from local growers is used at Hot Tomato during the growing season, as well as locally sourced bacon and sausage. Camilla’s Kaffe is a local favorite in Fruita, Colorado, and is also known quite well with the national community of mountain biking for offering great food and great service. Starting out as just a simple vision of family working together to run a cafe, Camilla’s Kaffe has expanded to include tasty delights, micro brew beers, specialty coffees, and a gallery for local artists. Visitors and locals alike can stop in and grab a cup of coffee, breakfast, lunch, or brunch. The menu served at Camilla’s Kaffe is focused on organic and gourmet cuisine and designed to meet anyone’s needs and likes. 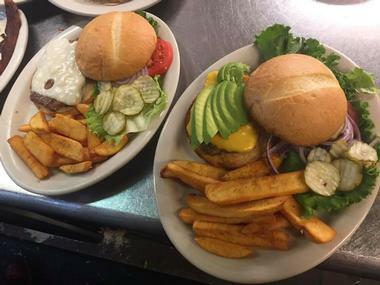 El Tapatio Mexican Restaurant prides itself on being an authentic and true Mexican restaurant, serving classic Mexican fare to the Fruita community and surrounding other communities as well. In fact, El Tapatio Mexican Restaurant has six different locations across Colorado and Arizona. Guests can enjoy a variety of drinks, appetizers, and entrees that feature special recipes designed to make people want to return for another meal. The restaurant also has a full-service bar that offers hundreds of tequilas, vodka, rum, and other types of drinks. 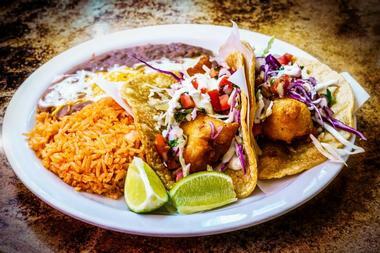 El Tapatio has a tradition of excellent service and culinary style.